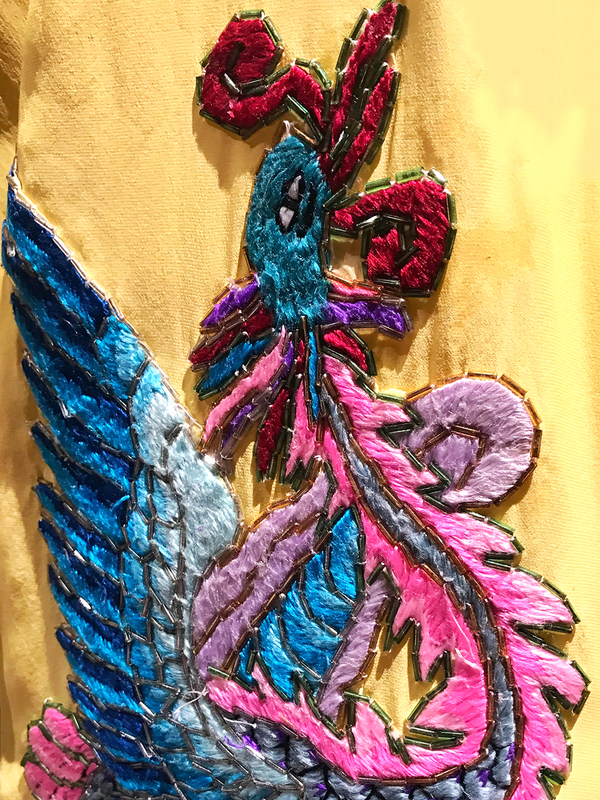 Last month I had the pleasure of not only attending a rare performance by the China National Peking Opera Company at Sadler's Wells, but also going backstage before the show to take a closer look at the beautiful costumes and watch the cast rehearse. The revered performing arts company was in London for the fourth year running, this time with a double bill including The Emperor and the Concubine which I'd never seen before and frankly knew very little about. It's a love story based on a historic Tang Dynasty event, telling the tale of the emperor Minghuang Tang who falls in love with Yuhuan Yang after seeing her dance. She falls out of favour and is banished, they later reunite, but the coming together of the two families leads to a dramatic rebellion and calls for Yang's execution. The production is a visual feast with vivid silk costumes decorated with embroidered dragons and ornate beadwork, colourful scenery and beautiful landscape backdrops, and the cast of 65 performers singing, dancing and playing traditional instruments. Peking Opera, or Jingju, became popular in the 19th century and combines music, vocals, mime, dance and acrobatics, and The Emperor and the Concubine is a fantastic introduction to it. I've always been intrigued by Asian cultures (as noted in this blogpost about orientalism), and so loved seeing this unique, quintessentially Chinese art form. Keep your eyes peeled for when they're next in town.